Insight Consulting brings together the very best strategic thinkers, researchers and writers who have significant government and non-government experience. 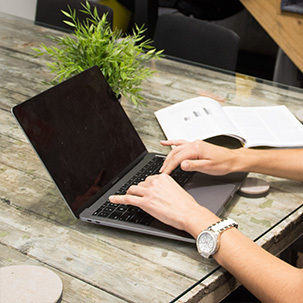 Each of our consultants brings their own breadth of skills and experience from a variety of industries to provide you with a complete suite of end-to-end organisational solutions. Ross is committed to delivering tailored, quality projects regarding research, public policy, and strategy for government and non-government clients. 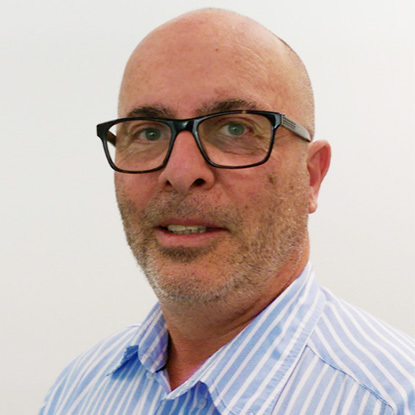 Formerly a Director of Policy for the NSW Department of Family and Community Services, Ross led teams responsible for the review and reform of major strategies, programs, and policies. These reform projects required extensive stakeholder consultation, rigorous reviews of the literature and current agency/partner performance, and the development of implementable frameworks and recommendations. He also led community-strengthening strategies for the NSW Department of Premier and Cabinet, winning the NSW Public Sector Gold Award for Social Justice Initiatives. But Ross hasn’t always been in government policy. Prior to his 13 years in government, he spent 10 years establishing a network of youth and community services in Western Sydney, as well as being the Chair of the NSW sector peak. The service model that his teams developed became a template for new government investment in the sector and was consulted by services from every Australian jurisdiction. With over 15 years’ experience performing project management and consulting roles within the sport, business, community, health and employment sectors, Donna brings broad experience to the Insight Consulting team. She’s skilled in undertaking research to inform evidence-based service delivery and has extensive experience in managing new service implementation. She’s been responsible for developing extensive written material, including tenders, with experience across a broad scope of industry areas. A strong collaborator, Donna has worked with management teams in the role of Executive Officer to drive business planning and policy development, as well as successfully leading a number of effective change management project groups. Monica’s social policy career has primarily been in child protection and out-of-home care policy and program development. Her experience spans government and non-government agencies (FACS and UnitingCare Children, Young People and Families respectively). These areas have also brought Monica a critical understanding of related social service areas such as homelessness, juvenile justice, and education, allowing her to apply her skills to broader social policy projects over the past ten years. Volunteer project work has also given Monica insight into primary mental health services. With experience in high-level social policy work, Monica has strong critical analysis and written communication skills. She also enjoys contributing to positive change in human services at program and individual client levels. Penny is an experienced national policy expert with a track record across the public policy, population health, child development and child/youth wellbeing sectors. Formerly the General Manager for Policy and Strategic Engagement with the Australian Research Alliance for Children and Youth (ARACY), she is a skilled and passionate advocate for children, young people and their families. Penny is a strategic and innovative “systems” thinker who has led or managed a number of pivotal collaborations, advocacy consortia and research projects deliver quality outcomes and well-utilised deliverables. Penny is an excellent written, verbal and interpersonal communicator with outstanding presentation and facilitation skills. With over 10 years of leadership experience within Australian public health discourse and an additional 3 years in the not for profit sector, Penny understands how to engage and work collaboratively with a wide range of partners. Penny is passionate about the social determinants of health and building and using evidence to improve outcomes and increase social impact. Penny brings senior experience from the Commonwealth Department of Health. Simon Rosenberg’s first proper job was running a youth refuge, which was a great grounding in how policy intent and service delivery realities do not always fit neatly. Since then he has worked at senior levels for Commonwealth, State, and local governments, and for community organizations. This experience covered a broad range of social policy areas, including early childhood, youth and family services, community development, Aboriginal housing, homelessness, mental health and disability, aged care, and welfare policy. 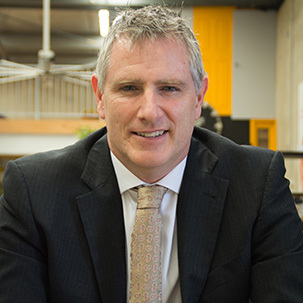 His most recent roles were national policy manager for ARACY and CEO of Northside Community Service in Canberra. Simon is keen to foster genuine collaboration in the policy process by ensuring all relevant parties are engaged. This particularly includes the people on the ground who are directly affected by policy and program design. He has been recognized by the Institute for Governance with a Public Sector Excellence Award for innovative approaches to social policy. This included the development and implementation of the ACT Corrections Throughcare Program, supporting people leaving prison. Kristy Delaney is a researcher and evaluator with more than twenty years of experience in delivering high-quality research and evaluation in human services, across government and non-government sectors. Kristy holds expertise in demographic profiling, indicator and indicative trajectory development, systematic review and evaluation of programs, economic impact assessments, large-scale quantitative and qualitative surveys, focus groups, structured interviewing, case study development, development of results logic diagrams, data and statistical analysis. Kristy is an experienced trainer and has facilitated more than 200 training and workforce development programs, forums and consultations with a variety of audiences. Throughout her career, Kristy has demonstrated a strong commitment to social justice and the active involvement of young people in decision making. She has established local, regional and statewide youth leadership opportunities for disadvantaged young people, initiated youth peer research initiatives, developed resources for young people about taking action on issues of concern, and provided training to young people including youth councils. 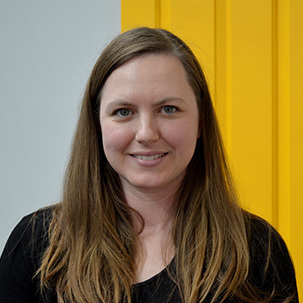 Kristy has a strong commitment to self-determination for Aboriginal people and has recent experience in research and evaluation activities in the Aboriginal Affairs portfolio. 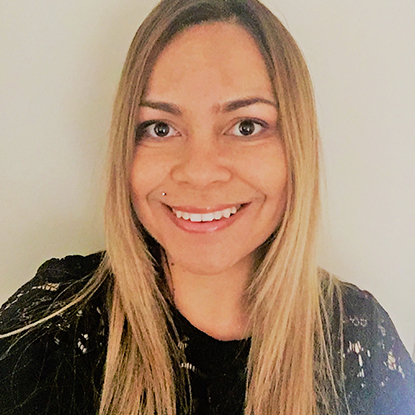 Lynnice is an Aboriginal woman from the Ngunnawal, Wiradjuri and Kamilaroi Tribes of NSW/ACT who has substantial experience in human services policy, strategy, governance, training, and stakeholder engagement. 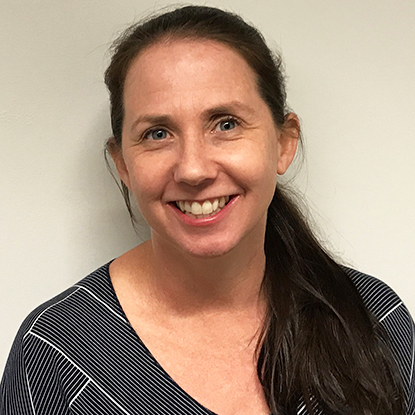 Lynnice’s 14 years’ experience in government and non-government human services includes roles with the ACT Community Services, Justice and Community Safety, and Education Directorates. Lynnice occupied senior policy and management positions regarding child protection, justice, housing, policy, research, quality practice, and compliance. 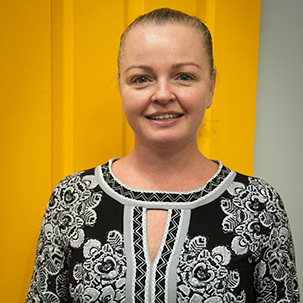 Lynnice has experience in the whole of government initiatives including ACT Youth Justice Blueprint, ACT Aboriginal Justice Partnership, ACT Aboriginal and Torres Strait Islander Whole of Government Agreement and the Step up for Kids OOHC Strategy. Lynnice is a qualified trainer with teaching experience in the VET Sector. This includes delivery of community services qualifications and cultural awareness for the ACT and Federal Government agencies. Lynnice has most recently worked for the Australian Red Cross as the NSW/ACT State Lead for Aboriginal and Torres Strait Islander Strategy and Engagement. Lynnice worked with Regions to develop Indigenous engagement plans aligned with the strategic priorities of the organisation across emergency services, volunteering, community programs, justice and place-based community development in Aboriginal communities. 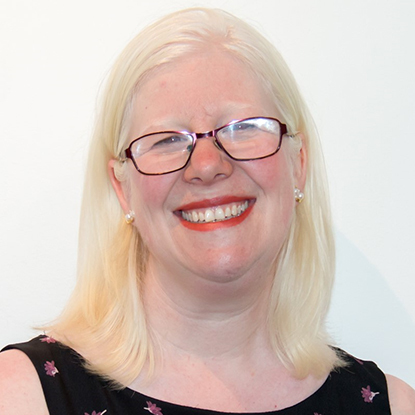 Lynnice is a strong communicator and facilitator which has enabled her to successfully engage with individuals, organisations, and community in a range of settings. Lynnice is an active member of her community and previously held a position on the ACT Aboriginal and Torres Strait Islander Elected Body with the Environment and Heritage Directorate portfolio, and she is a board member of the ACT Council of Social Services. Lynnice is an artist with many commissioned artworks and she regularly volunteers to teach other young people about art and culture as a means of supporting connection, understanding, healing, and reconciliation. Lynnice is passionate about empowering people and building their capacity to lead positive lives. Lynnice has a Bachelor of Health Science (Mental Health), and a Cert IV in Training and Adult Education. Lynnice has completed training in Human Centred Design through the Huddle Academy and the Leadership Programs Thrive and Excellence in Leadership with Australian Red Cross and Melbourne Business School. At Insight, we match the right consultant with the right company for the right project. We have a pool of high-quality casual consultants who have a depth of experience in diverse fields. Regardless of your needs, we’ll find the solution and ensure high-quality delivery.